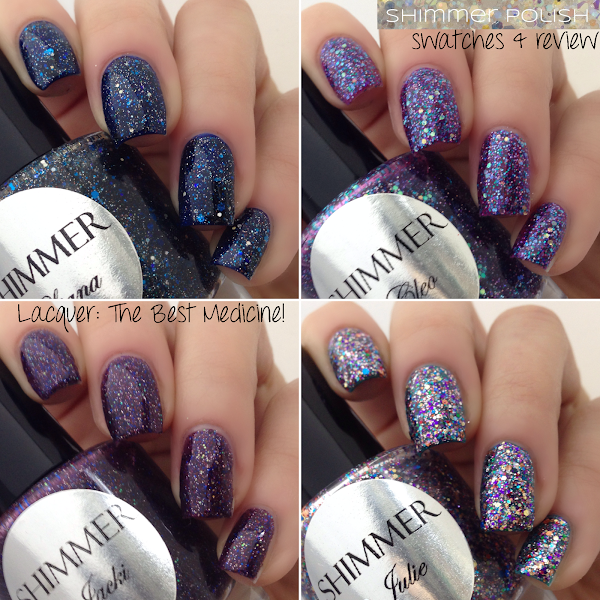 Today I have the third and final Shimmer Polish post for SHIMMER POLISH WEEK! 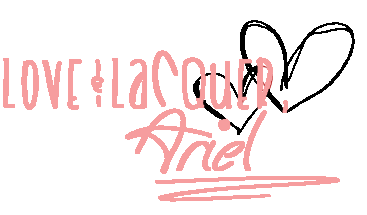 Check out the first two posts here and here. First up today is Liana, which is an absolute stunner. 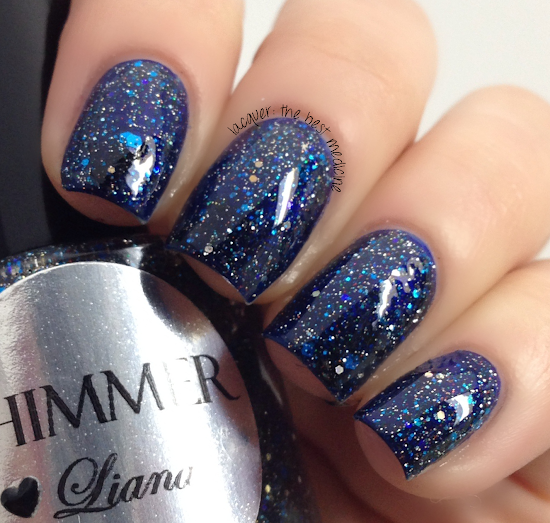 Liana is a midnight navy blue glitter topper. 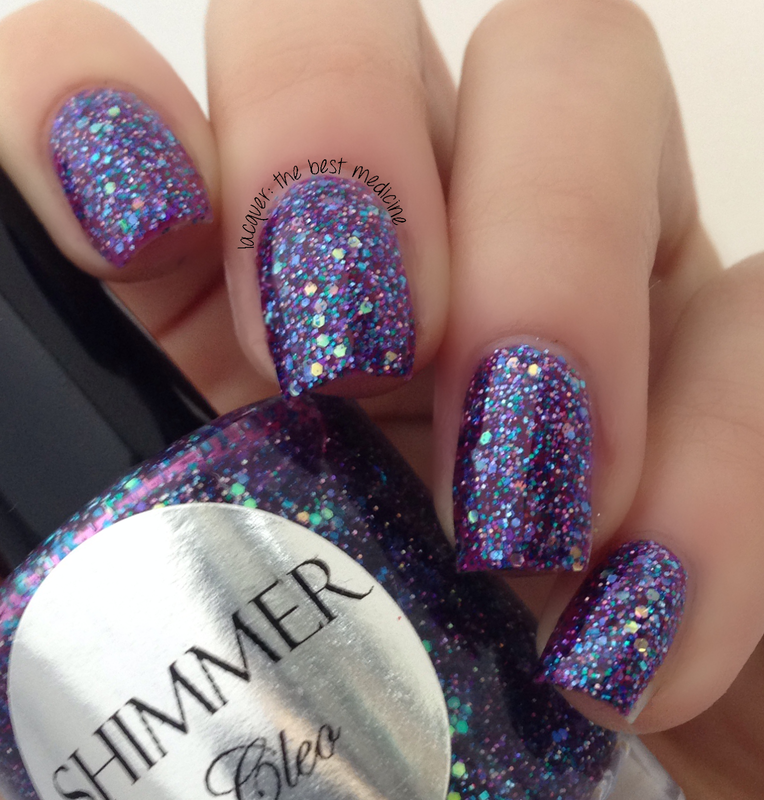 It has a mix of blue, gold, and some light purple glitters in a clear base. Like all my amazing Shimmer Polishes, application was perfect! Swatches below show one coat of Liana over navy blue. 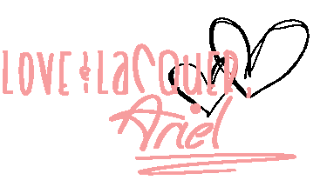 All swatches you'll see today are topped with my favorite HK Girl topcoat. 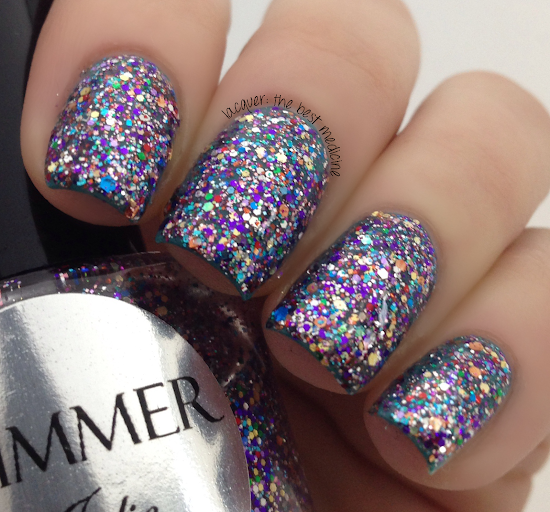 Next up is Julie, which is another beautiful mix of rainbow glitters in a clear base. Swatches below show two coats of Julie over blue (Zoya Rocky). 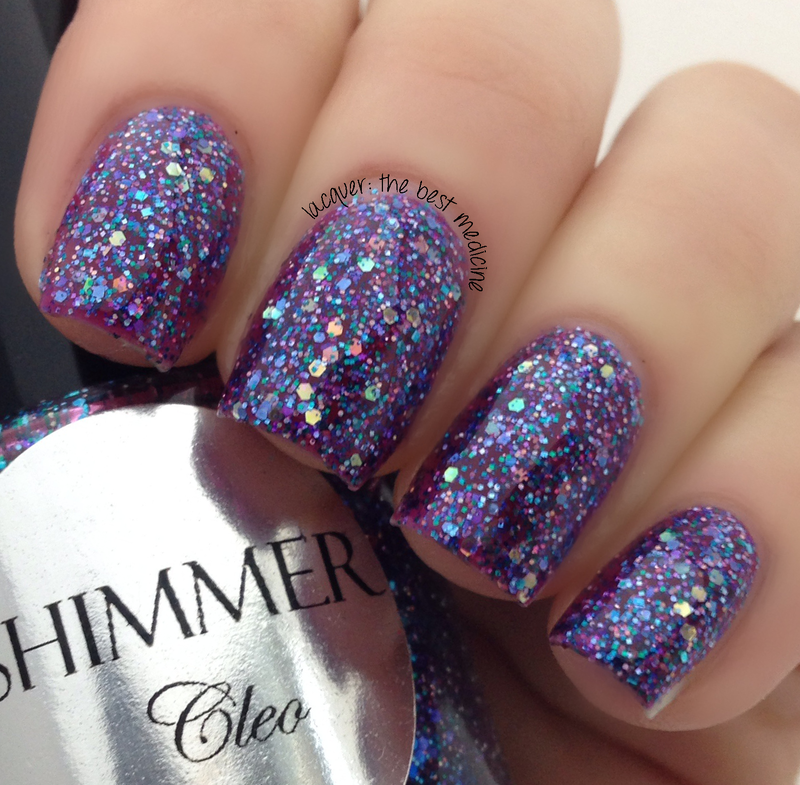 Shimmer #3 today is Cleo, a fuchsia jelly base with blue, gold, and purple glitters in different sizes. This polish is sheer, so I used three coats to reach the level of opacity in the following swatches. Annnnnnd finally, to conclude Shimmer Polish week, we have Jacki. 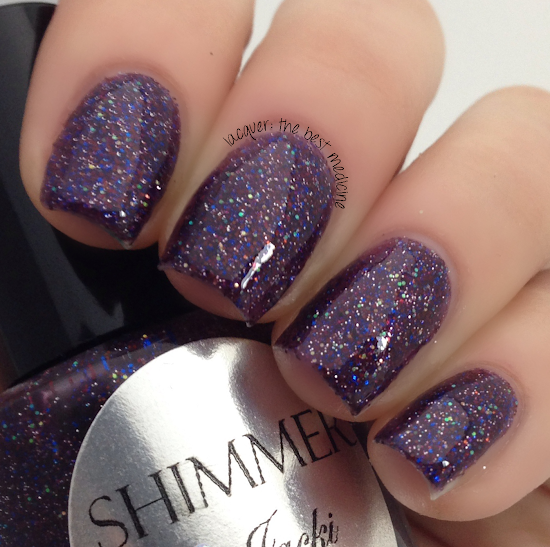 Jacki is a lovely eggplant purple jelly base with tiny violet, navy, and maroon glitters. I love this polish! Again, this polish was quite sheer, so I used four THIN coats to reach the level of opacity you'll see in the following swatches. This concludes Shimmer Polish Week, ladies & germs! I hope you enjoyed all of the sparkly deliciousness I've shown you this week! 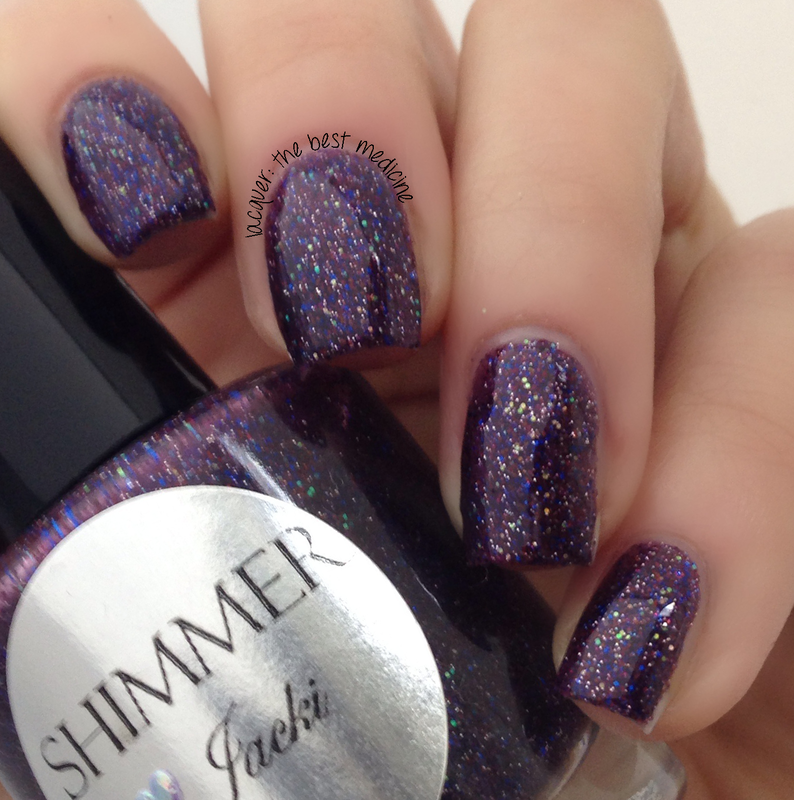 Check out the other two Shimmer posts here and here! These were all fabulous! A little sad that its over but at least I can come back to drool over these colors whenever I want to, haha. Liana is beeauuuutiful! I also love Cleo. I'm waiting for a package with Liana in it. And after seeing your pictures I'm even more pleased that I bought it. Oooooh, you will LOVE it! So in love with the bright blue glitter in Liana!